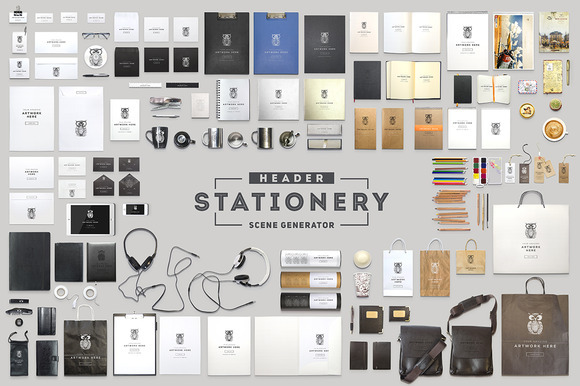 Create your own STATIONERY / HERO / HEADER Mock Up compositions or use ready created with our “Scene Generator”. 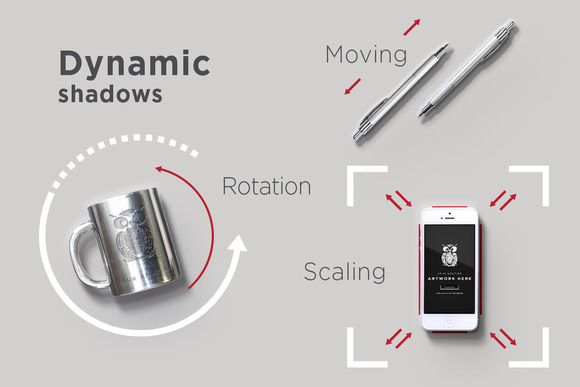 All items have dynamic shadows, so you can move, rotate, scale any item and get the same best result with light effect. These files are in high resolution, so that you can make little or big scene for your needs.